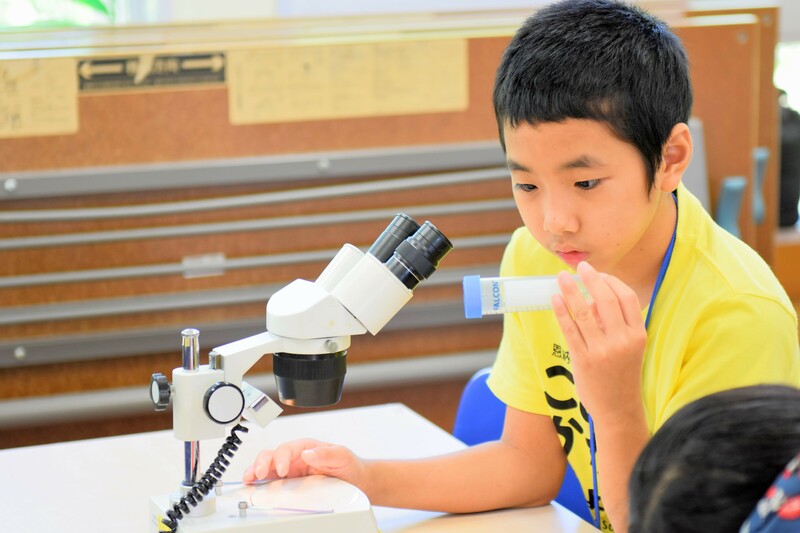 On August 22-26, the Onna/OIST Children’s School of Science took place at the Fureai Taiken Center in Onna Village. Smiling children, filled with curiosity, had a great experience at the end of their summer vacation. This year marked the 7th anniversary of this event, with participation by more than 110 children from pre-school to junior high. The total number of kids who have graduated from the School of Science since it began is now over 600. The classes successfully ended with support from volunteers including Onna Village public school teachers and officials, the children’s parents, and OIST researchers and staff members. 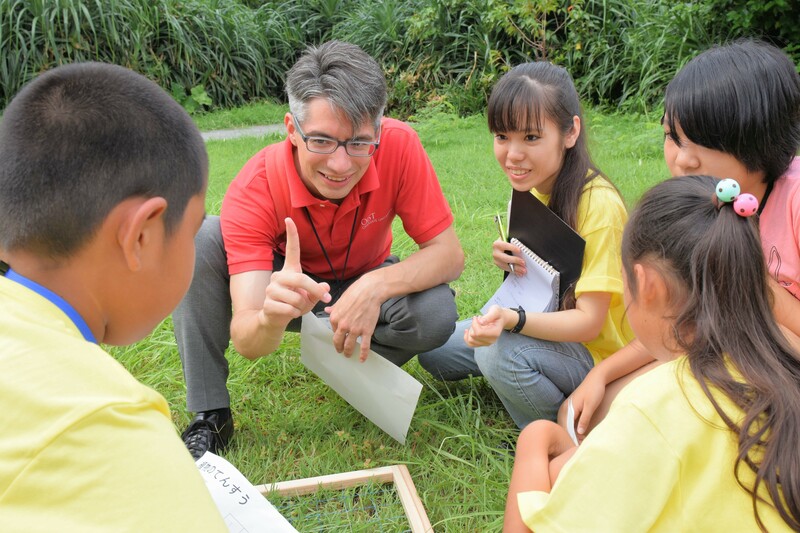 OIST has welcomed student interns from Okinawa colleges and universities for the past 2 years. This year, 10 interns helped run and animate the program: 6 from University of the Ryukyus, 2 from Okinawa Christian University and its Junior College, and 2 from Kyuyo High School. The event offered an opportunity for networking among students from various universities in Okinawa. In the 1st-2nd graders’ class, children studied various fish, jellyfish, and mozuku algae. 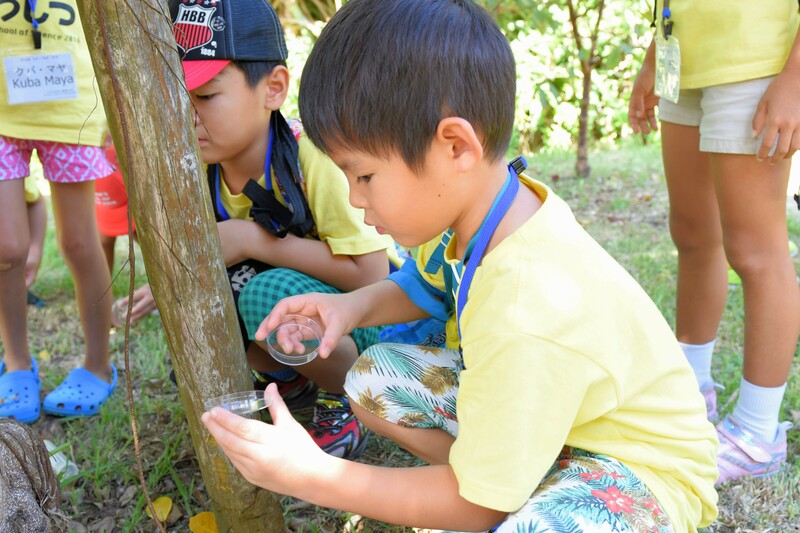 In the class for 1st to 3rd graders titled, “Secrets of Ants,” children went to collect ants, and observed them under microscopes. 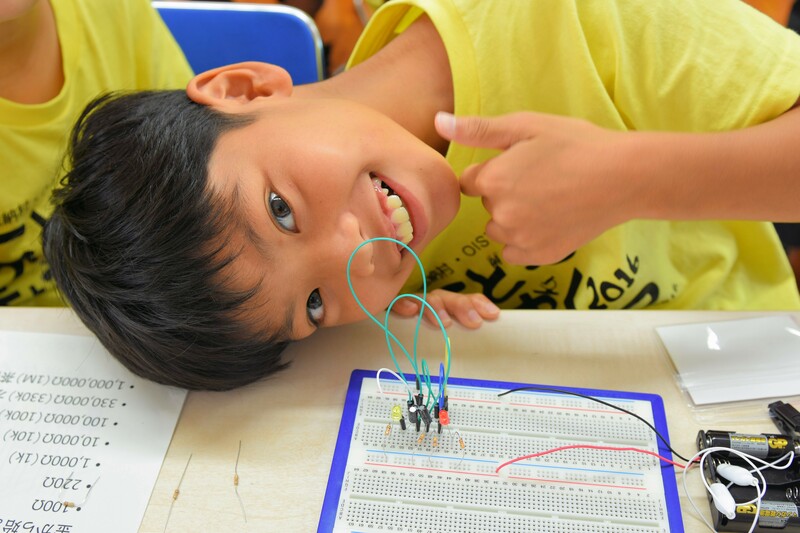 In the 5th-6th class “Let’s Play with Electronic Circuits,” children used electric circuit boards to study electronics and wired up a light-emitting diode (LED). 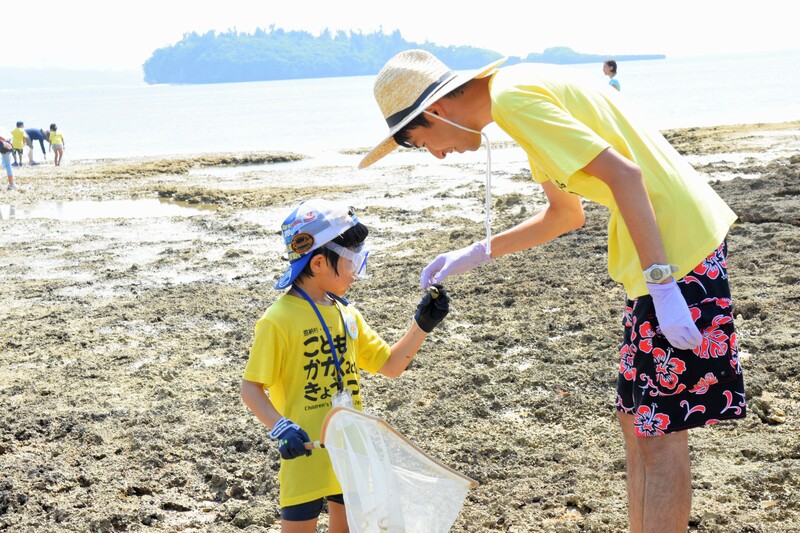 “It was a good experience and a lot of fun to learn and get to know about life surrounding us,” said Yusei Kuba, a junior high school student who has participated in this program for 3 years in a row. “This program is becoming a valuable opportunity for children to study English as well as science since the number of classes taught by non-Japanese researchers has increased in parallel with the number of participants. 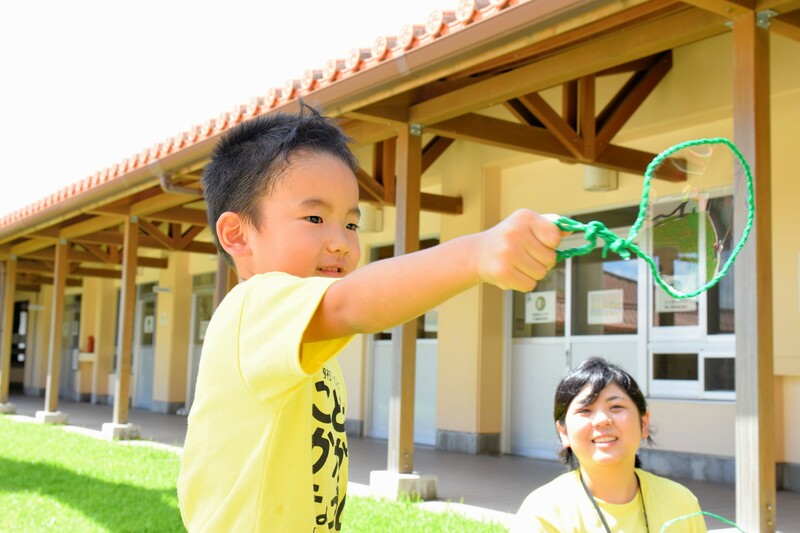 We will continue to hold even more fun classes,” commented Mr. Tomohiko Teruya, the leader of OIST Community Relations Section, which planned and operated the School of Science with Onna Village. This year, 40% of classes were conducted in English with the support of interpreters. Someday, world-class scientists may come out among the graduates from the School of Science.